In this March 4, 2015 file photo, Illinois Gov. Bruce Rauner speaks at an event in Springfield, Ill. Democrats in the Illinois House voted down a plan similar to Gov. Rauner's proposal to allow local governments to permit workers to opt out of unions Thursday, May 14, 2015 in Springfield. The vote comes on the heels of a series of other votes and hearings designed by Madigan to embarrass the new Republican governor and send a clear signal that Democrats’ have muscle they intend to flex in Illinois’ newly divided government. Illinois Democrats have knocked one of the new Republican governor's top priorities down to an easy defeat. 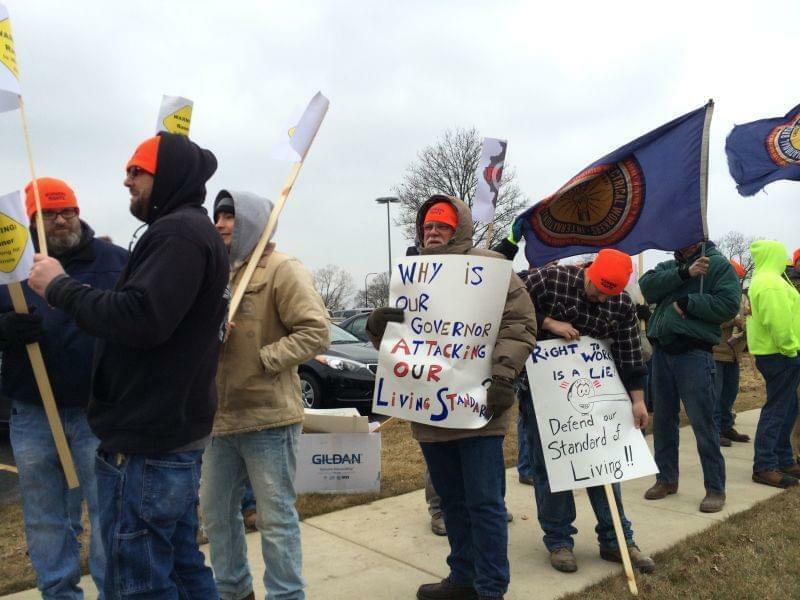 The Illinois House yesterday voted against Bruce Rauner's notion of local right-to-work zones. The issue is highly contentious on its own. But a broader division was also at play.Before we get to the right-to-work debate, it's important to rewind some. Skip back to January, when for the first time in a dozen years, Illinois inaugurated a Republican to the governor's office. "I, and the House Democrats, wish to welcome you back, back to the active participation in state government," said House Speaker Michael Madigan, who, like his Senate counterpart, came out of the election holding onto a super-majority. 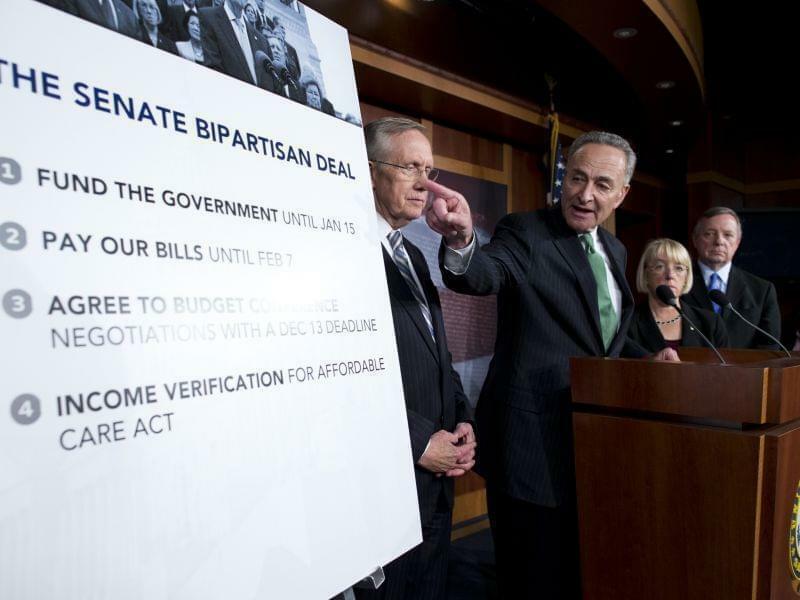 There was lots of talk about compromise, and bipartisanship ... talk that abated for some Democrats when, a couple weeks later, Gov. Rauner made this announcement during an appearance in Decatur. 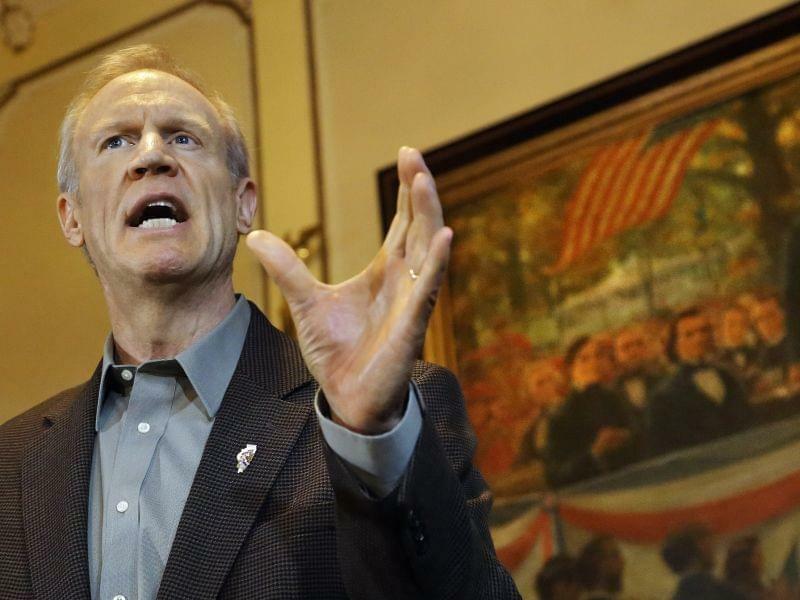 "I'm not advocating that Illinois become a right-to-work state," Rauner said. "I do not advocate that. But I do advocate local governments, local voters, being able to decide for themselves whether to become right-to-work areas, right-to-work zones." Rauner says it's a way for communities to make themselves more competitive, to attract businesses. To unions, those are fighting words. They've been on guard since. But while Rauner used his bully pulpit to promote this idea at appearances around the state, there's never really been anything material for unions to protest. They are fighting Rauner in court on a related issue -- whether non-unionized state workers should have to pay fair share wages, but when it comes to right-to work, with only weeks left in the legislative session, Rauner has not introduced a bill that would create his local zones. 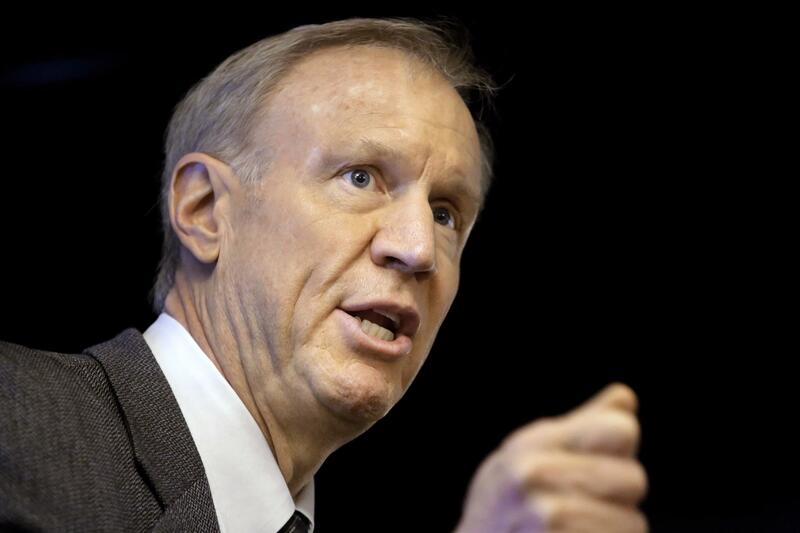 Rauner calls right-to-work "forced unionization," but that's not quite right. In right-to-work states -- like Indiana, Michigan, and now Wisconsin -- no employee can be required to have to pay a union any dues. It's not that's not that in Illinois anyone is forced to actually join a union, but in Illinois, anyone who works in a unionized shop does have to pay a fee -- a fee meant to compensate a union for what it does to negotiate higher wages and other benefits for all employees -- whether or not they're members of the union. "What right-to-work does, this is the only thing is does, is it gives somebody the availability to freeload," said Rep. Larry Walsh Jr., a Democrat from Chicago and a 20-year machinists' union member, during the House debate. "That's what it does. They get the same benefits, the same wages, the same protections as that union member. And what that does is destroy the inner- functions or organized labor." That should bring us up to date. The debate in the House was lengthy, heated, and emotional. Like when another Democrat, Rep. Jamie Andrade of Chicago, got tearful speaking about growing up poor, with a dad who worked in non-union factories. Andrade says his dad got a union job at the age of 63, and thanked the union for setting him on a path to become a member of the Illinois House. "It truly is my experience that ... someone who worked in a factory can be here now, speaking on behalf of all those people now, that worked with my father who lost their jobs, because that company decided minimum wage is just too much," Andrade said. There was also plenty of anger. Remember, Rauner never actually introduced a right-to-work bill; closed-door negotiations on that and other parts of his Turnaround agenda are still ongoing. It was actually the Democratic House Speaker, Madigan, who forced the issue to come to a head. He introduced his own right- to-work bill, modeled on the governor's concept. And that's what has Republicans riled. And why all but one of them either left the House to avoid voting on the measure at all, or cast a "present" vote instead of an "aye" or a "nay." Even Republicans like Decatur's Bill Mitchell who say they're against right-to-work. "This isn't about right to work," Mitchell said. "This is about dividined people and it's not fair. Last November the voters of this state elected a Republican Governor. But at the same time they elected a General Assembly and after 12 long years of eahuation .. they elected people to solve problems. This today, Speaker Madigan's amendment isn't about right ot work its about dividing people. It's not fair to working men and women. Republican Rep. Ron Sandack, of Downers Grove, also railed against Democrats for what he says is a political charade. "The idea, the idea that you're standing up for the working class, that you're standing up for the people of Illinois is an embarrassment. One party rule for 12 years. We are where we are because of one party rule. And the ideas that you're going to put something on the board and say 'we're for everyone.' You're for no one but yourselves." The typically tight-lipped Madigan says they're issues of import to middle class families, and he wants them out into the open. He's got votes on Rauner's business-friendly tort and workers' compensation ideas scheduled for next week.